Product prices and availability are accurate as of 2019-04-18 05:02:08 UTC and are subject to change. Any price and availability information displayed on http://www.amazon.co.uk/ at the time of purchase will apply to the purchase of this product. Part of the "Lake District: Top 10 Walks" series, this guide gives walkers ten of the finest walks to Lakeland tarns in a pocketable format. 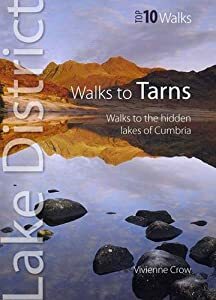 With an overview and introduction for each walk, it features numbered directions, large scale Ordnance Survey maps, panoramic photographs, and interpretation of points of interest along the way.